If you liked this show, you should follow Dr DREAM. 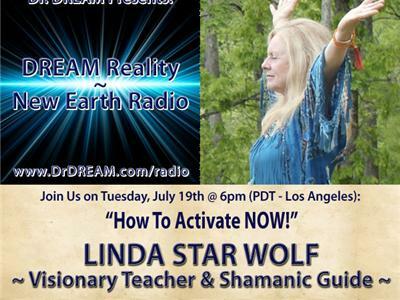 Join Dr. DREAM, and his co-host, Ilya Nabutovskiy, on Tuesday, July 19th for a high-energy Broadcast with; Linda Star Wolf. 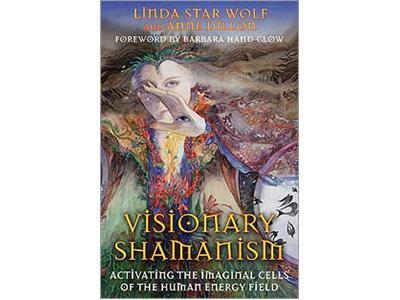 Linda Star Wolf has been a visionary teacher and shamanic guide to thou sands of people over the last 35 years. Star Wolf is the Founder and Co-Director of Venus Rising Association for Transformation, a 501c3 non-profit organization, and the Founder and President of Venus Rising University for Shamanic Psychospiritual Studies, established in August of 2010 in the state of North Carolina. The author of several books and the creator of the Shamanic Breathwork™ Process, much of Star Wolf’s work is revelatory and comes from her own direct experience. With over 30 years of recovery from her own experience with addictions, Star Wolf has dedicated her life to helping others to release dysfunctional patterns of all kinds and to radically transform their lives. She teaches people how to awaken to the bigger picture, embody their own inner Visionary Shaman and step into a life of passionate purpose. This broadcast is sure to expand your consciousness - and as you already know with the DREAM Team, it will be lots of FUN!